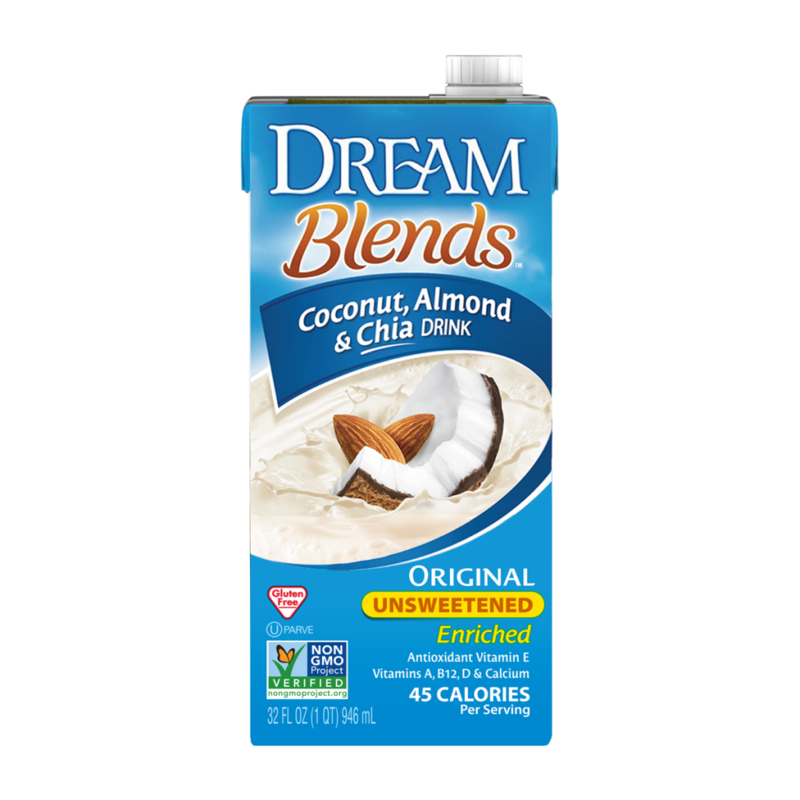 Smooth and creamy, DREAM™ Blends Unsweetened Coconut, Almond & Chia Drink combines the tropical sweetness of coconut with the light nutty flavor of almonds and nutritious chia. Made with no added sugar, it’s an excellent source of calcium and antioxidant vitamin E, as well as vitamins B12 and D. Delicious in any of your favorite recipes, it’s also the perfect start for your own homemade superfood smoothie. 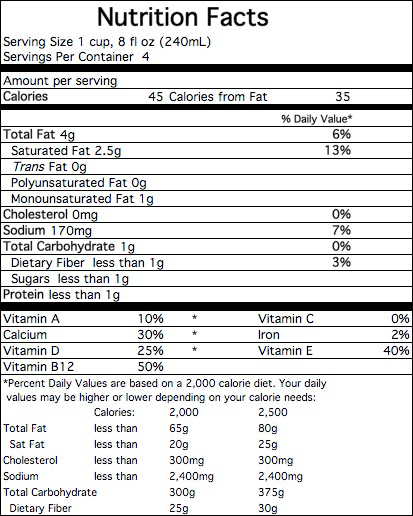 FILTERED WATER, NUT AND SEED BLEND (COCONUT CREAM, ALMONDS, CHIA SEEDS), TRICALCIUM PHOSPHATE, CARRAGEENAN, SEA SALT, GELLAN GUM, NATURAL FLAVORS, VITAMIN E (D-ALPHA TOCOPHERYL ACETATE), VITAMIN A PALMITATE, VITAMIN D2, VITAMIN B12.